As an Italian American kid, mozzarella en carozza is something I grew up eating. 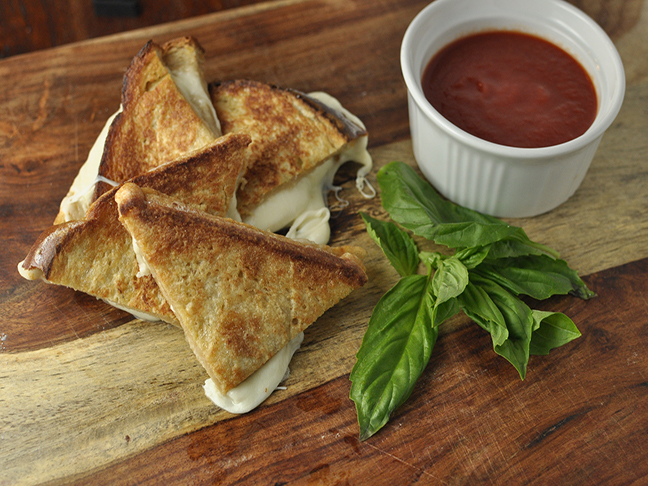 The translation is “mozzarella in a carriage.” It’s basically an Italian spin on a grilled cheese sandwich, and boy is it delicious and so simple to make, perfect for an after school snack or light lunch. This is the classic version, but to jazz it up you can add in some chopped basil or prosciutto to your sandwich before frying. 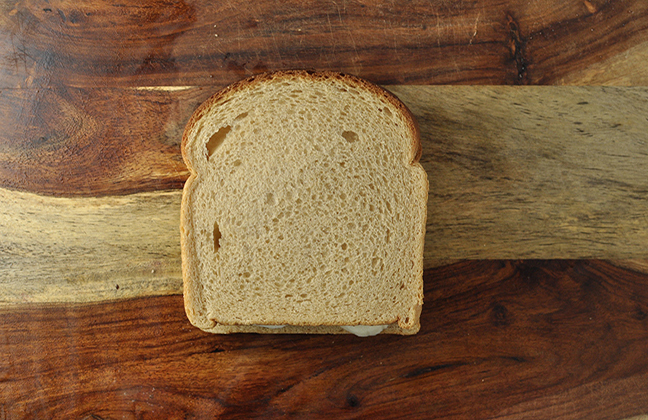 To say this grilled cheese sandwich kid-friendly is a complete understatement; my kids ask for this constantly. Step 1: Put egg and flour into two separate shallow bowls. Step 2: Preheat olive oil in a large skillet over medium heat. 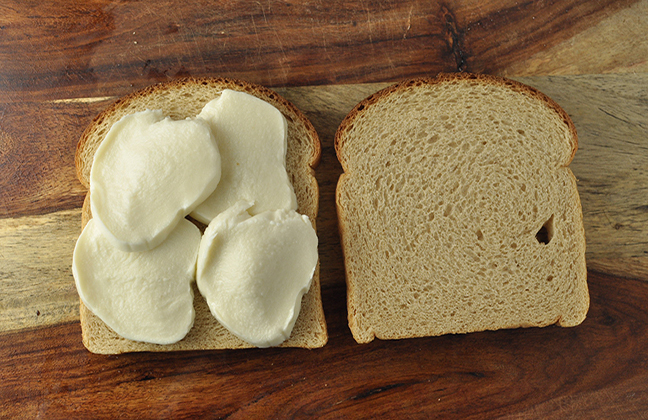 Step 3: Place mozzarella onto one slice of bread and then top it with the remaining slice. 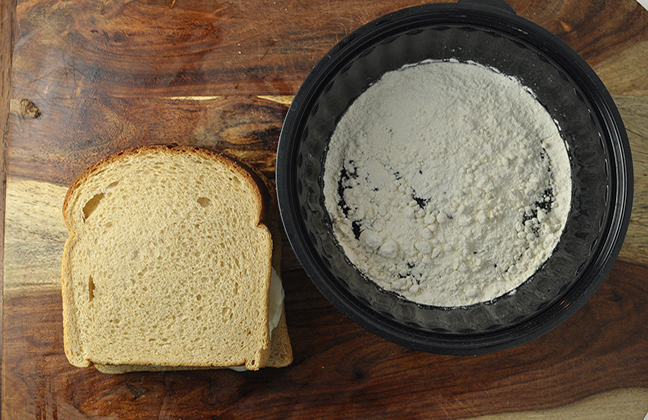 Step 4: Coat both sides of the sandwich in the flour and dust off excess. 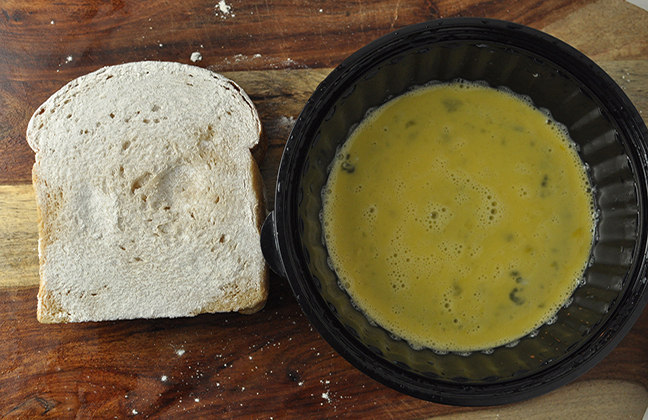 Step 5: Dip the sandwich into the beaten egg and place into the skillet. Step 6: Cook for 2–3 minutes on the first side, flip, and cook for another 1–2 minutes on the opposite side. The sandwich should be golden brown and the cheese should be melted. Step 7: Cut the sandwich into 4 wedges and serve with tomato sauce for dipping.